Here we re-post from last year Alexis de Tocqueville’s short tribute to the Pilgrims. His is the best short history of those brave men and women that I have ever found. For me, as an American, it is a great source of pride that this great 19th century French intellectual recognized the significance of what the Pilgrims had accomplished. Too bad more Americans don’t understand their unique contribution to freedom, and democracy. “So they left that goodly and pleasant city of Leyden, which had been their resting-place for above eleven years; but they knew that they were pilgrims and strangers here below, and looked not much on these things, but lifted up their eyes to heaven, their dearest country, where God hath prepared for them a city ( Heb. xi. 16), and therein quieted their spirits. 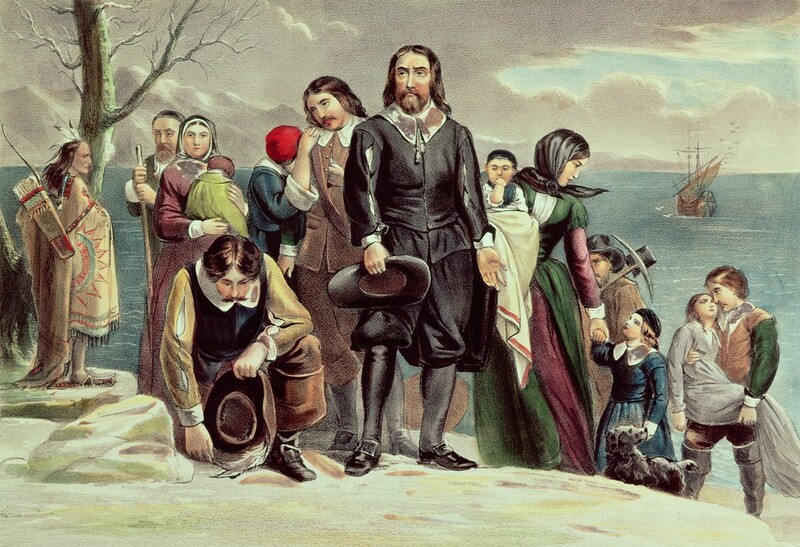 This entry was posted in CURRENT EVENTS, History and tagged 1620, democracy, Mayflower Compact, Pilgrims, Plymouth Rock, religious freedom, Tocqueville, William Bradford by eburke93. Bookmark the permalink.